This little guy was originally created for One Tail At A Time. Her head bobbles and her tail wags and she is now available for virtual foster, here. 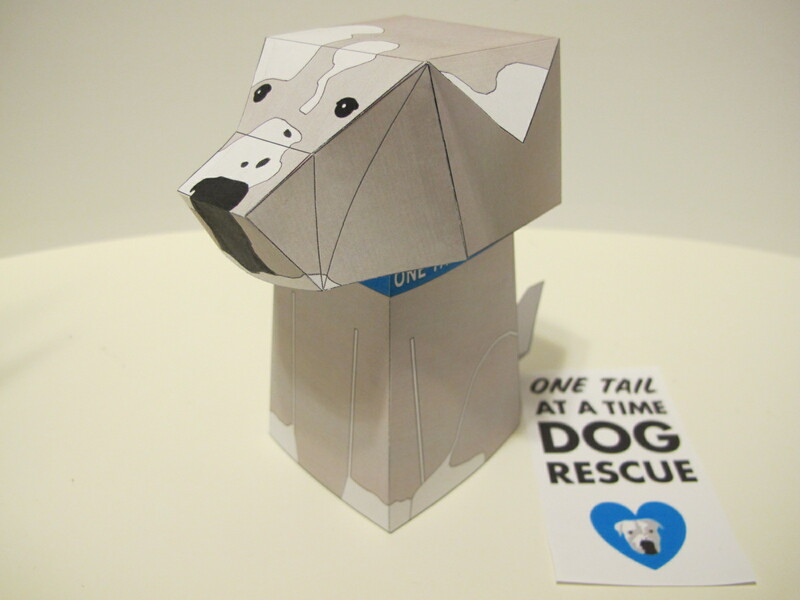 I have also created a custom Paper Pup for PAWs Philadelphia and a custom auction item for one of their events.